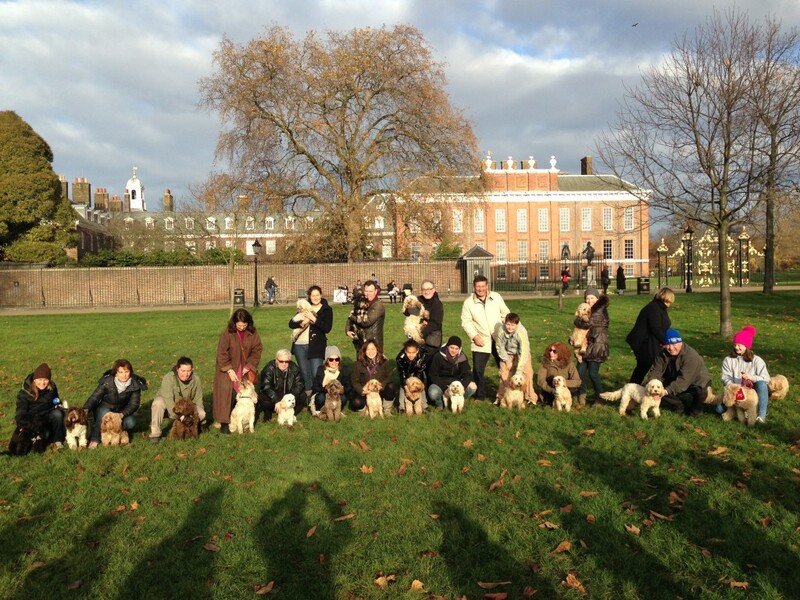 This Sunday’s Hyde Park Doodle Meet will mark the fourth anniversary of when it all began back in early January 2013. It was a chance meeting but it was a meeting of minds. It was just me then, no George. 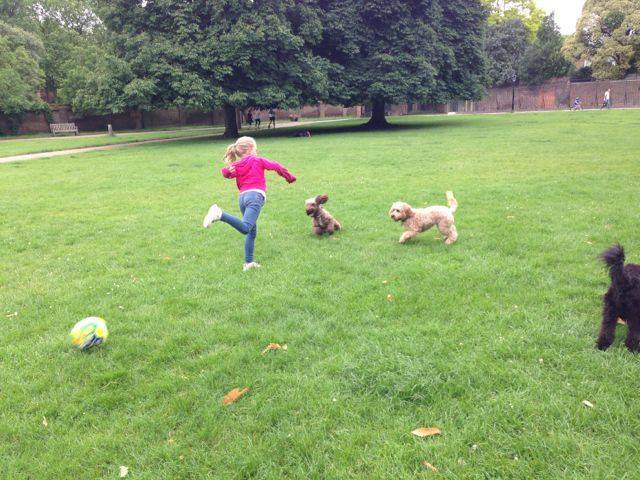 I was two years of age and Mummy had noticed that when we walked in the park, I always knew when there was a cockapoo. 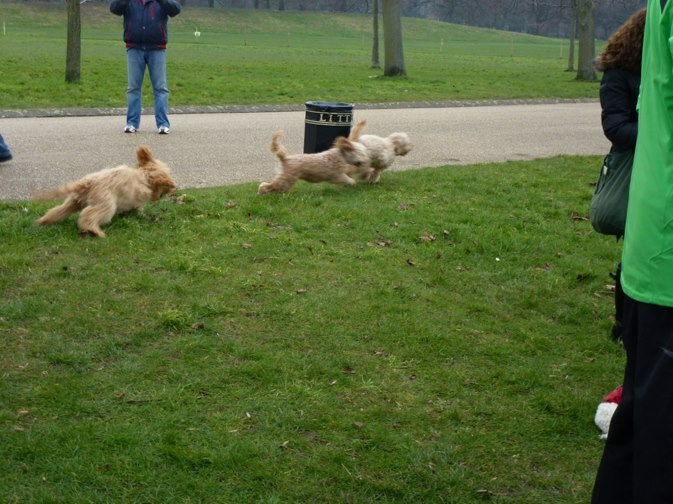 And whenever I met one, we would immediately chase each other, doing the “doodle dash”. It made her wish that I could meet other cockapoos regularly for play dates. I do love my walks with Mummy but it’s not quite the same. For one, she doesn’t run and chase me like another poo would. She does throw me balls and she gets annoyed when I don’t bring them back and drop them by her feet. And she gives very stern warnings should there be a puddle in sight! 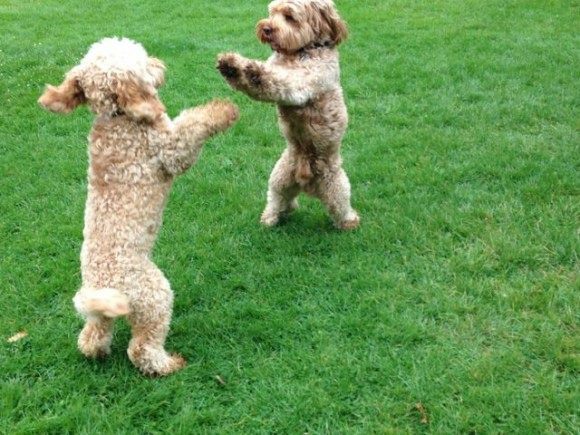 Don’t you think it would be so much more fun playing with another cockapoo. 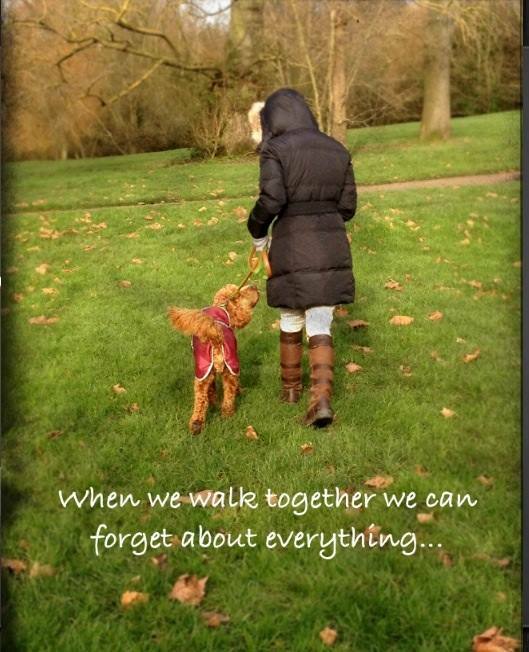 Just as she was thinking all that during our first walk of the year in 2013, we met Zavia. We immediately started our doodle dash. Mummy watched in delight and so did Zavia’s daddy, Lucas. They both started discussing how lovely it would be if there were more cockapoos for them to play with. That’s when Lucas mentioned that his partner, Stacy was thinking the same thing. 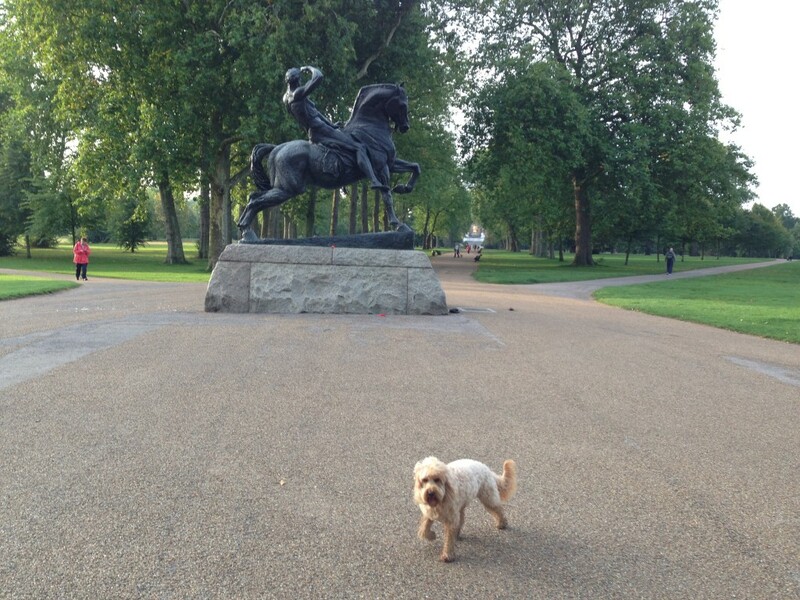 The next morning when we were again walking in Kensington Gardens, we ran into Zavia. I recognised her immediately and we were off! This time Zavia was with her mummy, Stacy. The hoomans started talking about gathering cockapoos for a walk – and agreed that they would start recruiting. At that time they knew only four cockapoos – me, Zavia, Rocko and Charlie (not the one that comes to stay these days). And so that was how the Hyde Park Cockapoo meets began. On 13th January 2013 – we had our first meet in Hyde Park. 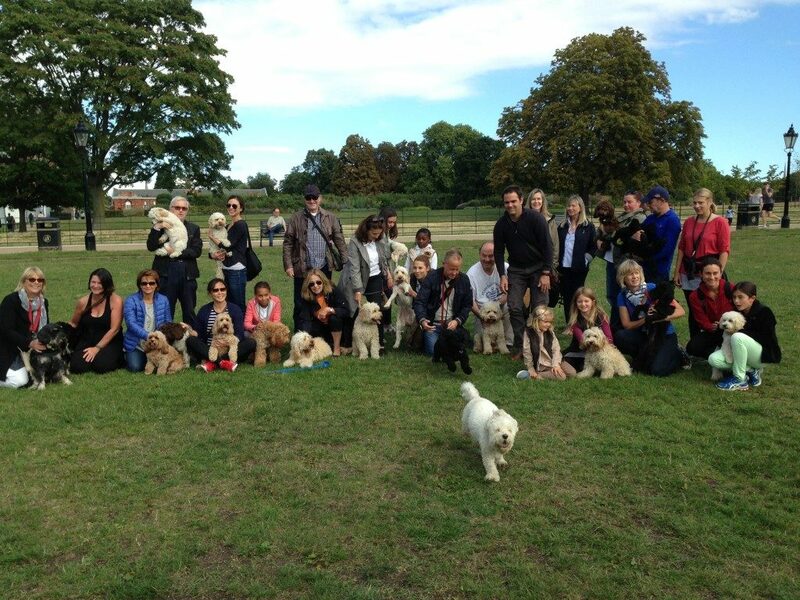 As we went on our first walk around the park, Charlie, Zavia, Rocko and me – we met a few other cockapoos. Mummy and Stacy told them about our meet-ups. By the end of that first walk, we had grown from four to six! But Stacy had a bigger dream that one day there would be twenty cockapoos at our meets. It didn’t take all that long to fulfill her dream! Over the last four years we’ve met at least once every month even when it was raining! We’ve been really quite lucky even though we live in London that we have been mostly dry. We even had sunshine sometimes – Evidenced by this photo because it shows shadows! 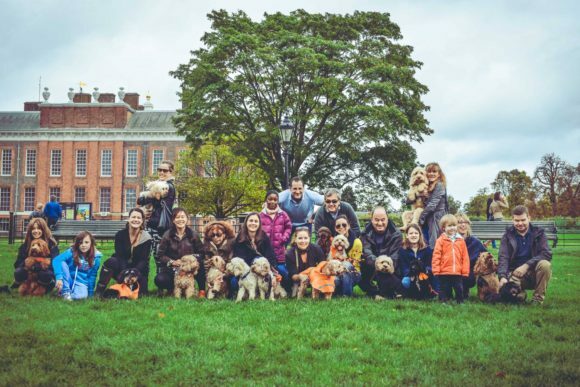 At the beginning we used to walk en masse around the park but as the numbers grew and with so many puppies, we couldn’t keep track of them – and we’ve lost one or two of them along the way! (Guilty ones, you know who you are!!!!) So we decided it was best to stay put in one place – it also gave the hoomans a chance to speak to each other and confer about our behaviours. But soon after we started, Stacy left London and with that, Zavia also left. Zavia now lives in Stockholm with Lucas. 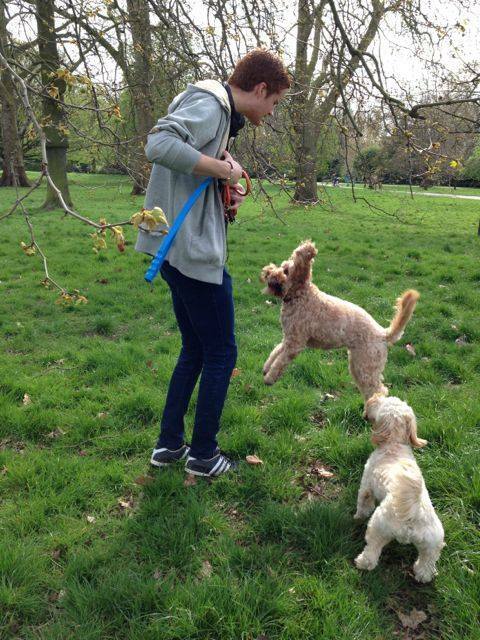 We have no idea where Charlie is these days. And we hardly see Rocko either. From the original group, I am the only one left. But since then we’ve made many friends, seen each other grow from teenagers to more aloof grown-up poos. 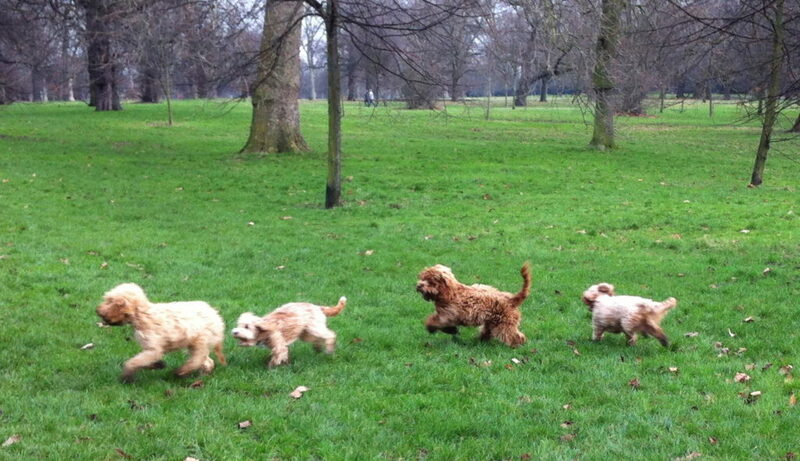 But many new pups kept coming and we see the young ones do the doodle dash that we no longer do. Even though I prefer to go squirrelling on my own, Mummy keeps taking me to meet the other cockapoos because she thinks it’s our commitment to give cockapoos in London a chance to socialise – just like how we sought to do so at the beginning. Not that we share any of our secrets with the young ones but it gave our hoomans a chance to share stories of how we were, to give encouragement to those who were bewildered with their young ones, and reassured them that we do eventually grow out of our kookiness – and to enjoy it because before long, we become too hooman-like ourselves. We prefer our hoomans to other dogs! LOL! Above all else, I think we brought some hoomans together when they would otherwise not have met. 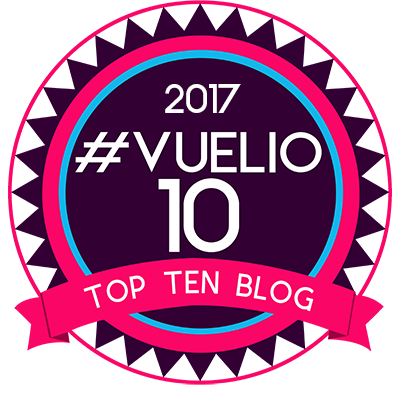 Over the years too, we have said goodbye to those who have moved away to Stockholm, to Lugano, to Brussels, to Australia. And Tiger left us when she crossed over the Rainbow Bridge. And even one of our hoomans, Tania had left us. We miss them all and will always think of them fondly. 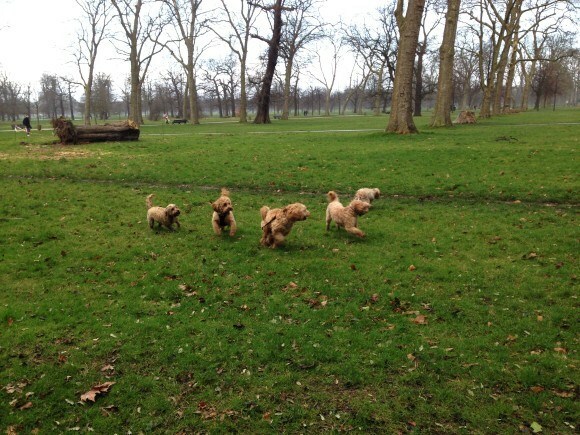 We have also evolved from just a meet for cockapoos to other poodle crosses. 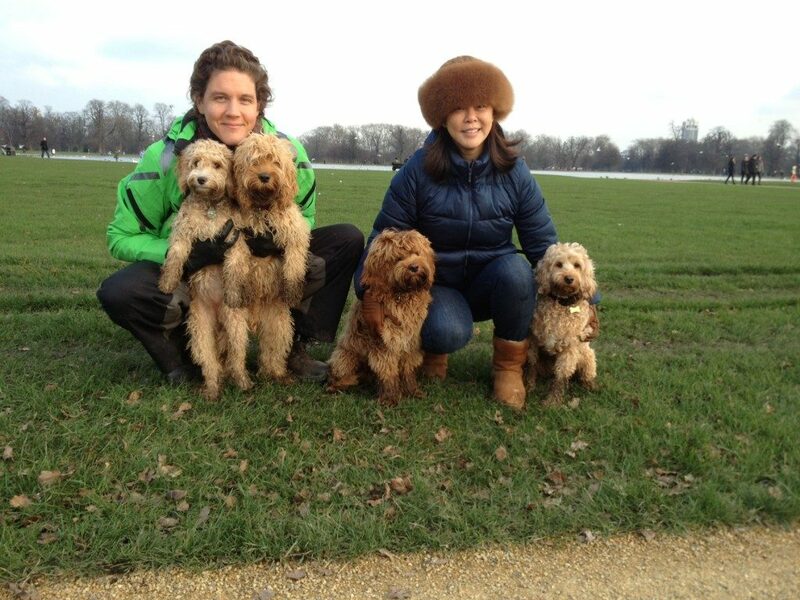 Today we have labradoodles, goldendoodles, cavapoos, maltipoos and we even accept little George as one of ours! 🙂 May’s comment: Thankful for running into Lucas in the park that cold morning in January 2013. Thank you to Stacy who was the cheerleader in all of this. She believed in it and she had a vision. I could never have managed to do this on my own. 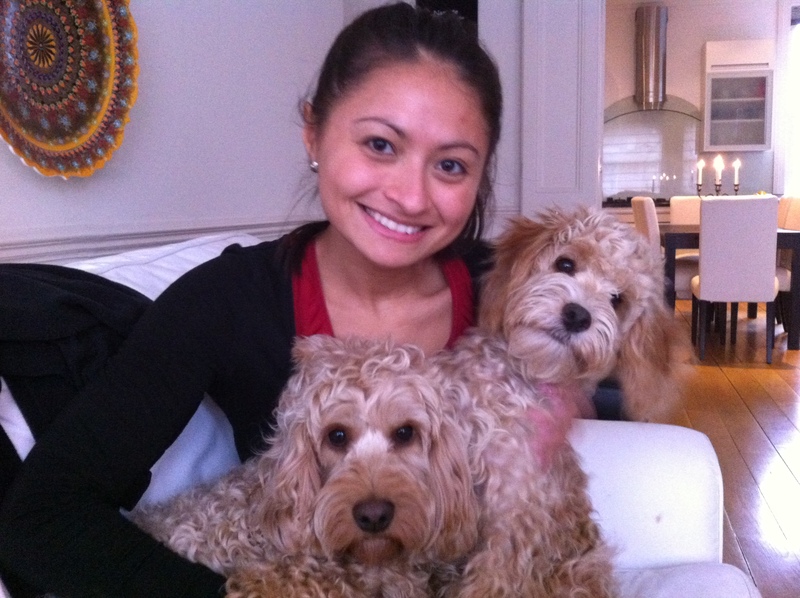 Through the years, we’ve met so many cockapoos, other poodle crosses and their owners. Some have become fast friends and some have left us for faraway places, others have come and gone and came back again. We now have members who have come from Norway, the U.S. and there’s one who will be joining us having moved from Australia! It has been a real joy to meet so many of the owners with whom we share a common love. 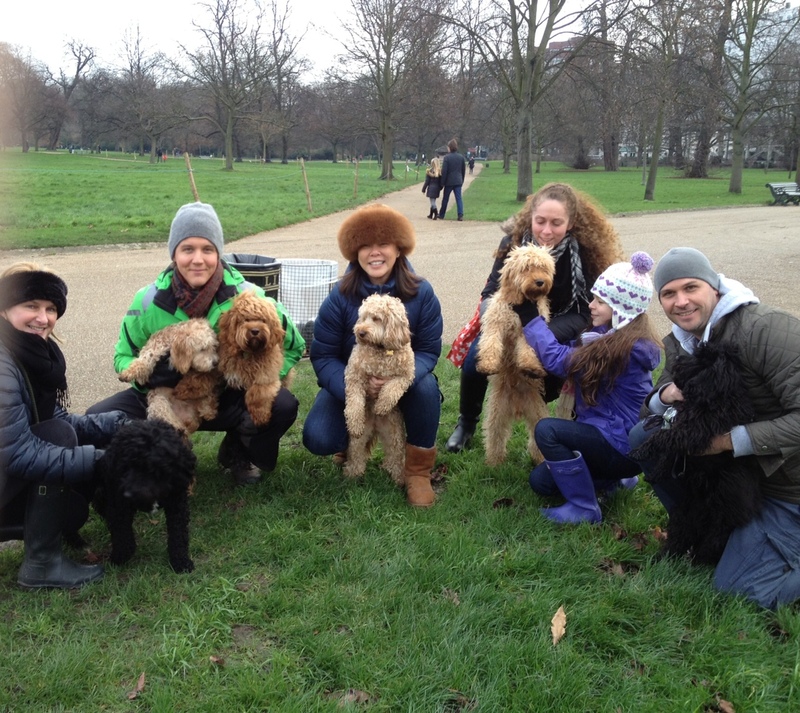 So as we begin our fourth year of cockapoo or rather, doodle meets in Hyde Park (technically Kensington Gardens) we look forward to more new puppies and friends old and new. 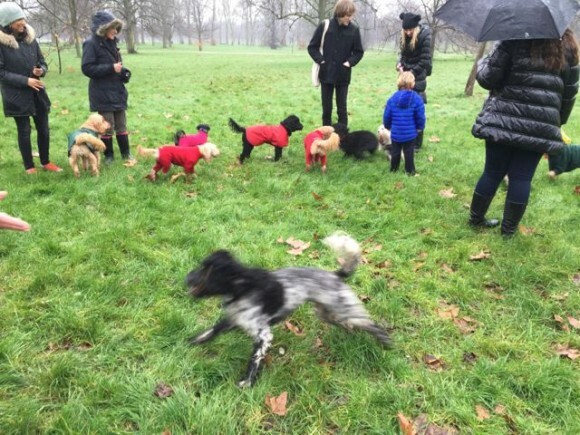 Even though Darcy and the older ones no longer really enjoy running around with the puppies, for me, it is a commitment we had made, because I remember how it was for me at the beginning. I wanted so much for Darcy to have fun and wished she had others to play with. So even though she would rather go squirrelling, we continue to hold these meets for the young ones. Our first meet for 2017 will be this coming Sunday, 29 January (last Sunday of the month) at 11am. This will be behind the Serpentine Gallery in Kensington Gardens. We usually have our group photo taken at about 11:30am and we’d love for you to be in it. If you would like to be included in our email distribution list, contact me. 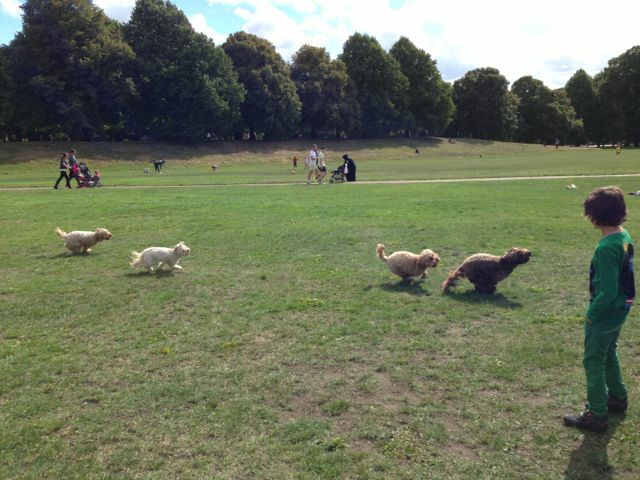 Otherwise, we also announce our meets on our Facebook Page – Hyde Park Doodle Friends. Can we join you Sunday please. I have a cockapoo and small unknown breed who would love to be an honourary poo got the day. I’m driving up from the coast. Where’s the best place to park? Of course! I hope the weather holds but regardless, we’ll be there. There’s parking right in front of the Serpentine Gallery – if you have GPS, look for Serpentine Gallery in Kensington Gardens. Looking forward to seeing all of you. 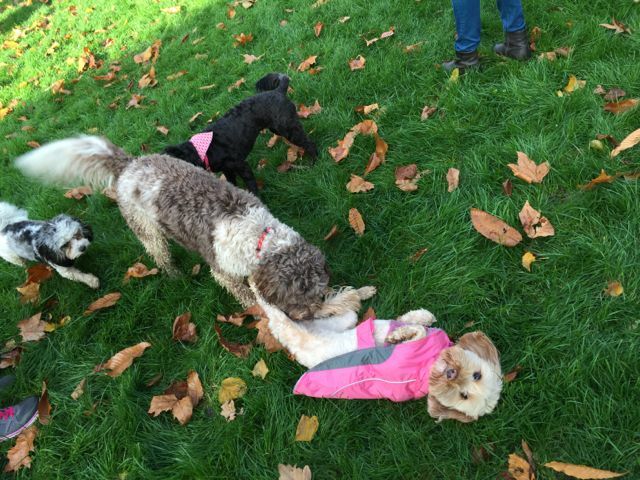 George is not a cockapoo! We love all dogs! I would love to be included on the distribution list. 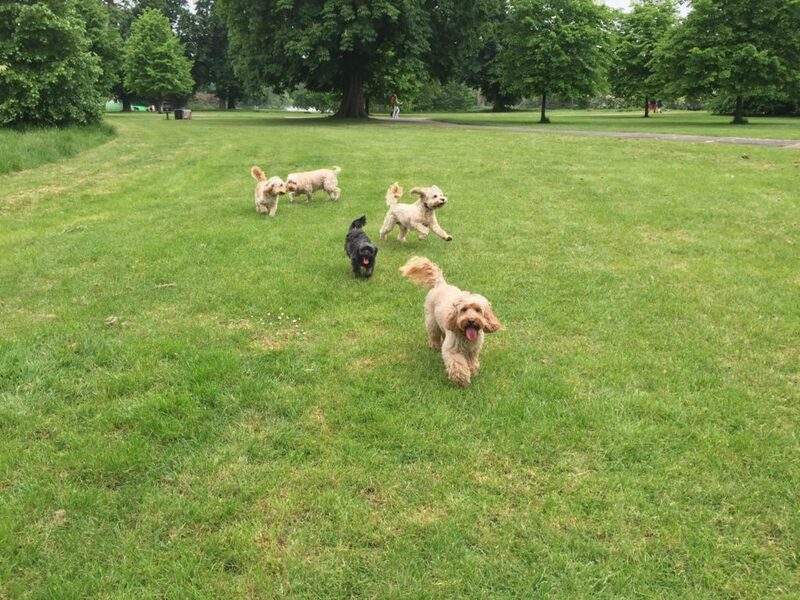 We have a black cockapoo boy named Fritz who is 11 months old and we would love to join the fun! Have added you on the list!